BCFirst Peoples - Mr. Goldsack Room 233 In our classroom everyone is expected to think! 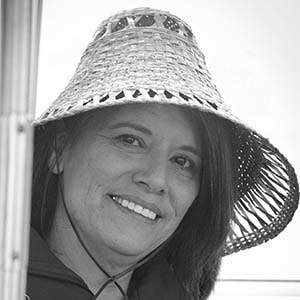 Please begin by recognizing and acknowledging the Semiahmoo, Matsqui, Katzie, and Kwantlen Nations on whose traditional unceded territories we live, we learn, and we do our work. Sept 6/8...Culture...what is it and who is it important? Culture is an important concept...students used talking/sharing circles to try to determine what culture is. At the same time, students learned a little about aboriginal governance (using consensus as a means to govern) while they were discussing culture...Critical thinking, communication, social competencies were clearly demonstrated! First Peoples are part of the land and water, and this interconnected relationship continues to shape and influence First Peoples' worldview. September 18...the cultural presentation...students will choose a cultural group in BC and prepare a short presentation to share with peers in a one on one setting. This project can be completed in pairs, and must include information about the region where your group lives , resources used (plants and animals, etc. ), clothes, language, beliefs...anything you find interesting! The date for presentations TBD. 2. What more do you need to know? Dec. 5...students engaged in conversation about issues related to the fur trade....and continued working on the Fur Trade Timeline/questions. ​Dec. 18..."appropriation"...a move toward colonial government and the gold rush. Mar. 8-12..students read primary source documents from the inquest into the 1902 death of Duncan Sticks. students were asked to answer the questions and think about the reality of student protests at residential schools. April 5-13...welcome back! Today students were asked to design and create a memorial Tile for a residential school student who did not survive the experience...we will begin investigating the impact of the 1876 Indian Act. April 16-20...the Indian Act...students will examine the Indian policy in the USA leading up to 1876. What impact did this have on First Nations in Canada?? APRIL 30: INTERIM REPORTS ARE AVAILABLE ON MyEducation BC in the Term 3 "Interim" column. May 1...Chapter 7 Adapting to New (Wage Based) Economies...use the notes to prepare for a quiz scheduled for May 10! May 7-10...review for the quiz...The Indian Act report is now due! May 11-18... Mckenna/McBride commission...what happened? Why? May22-June 1...The focus is on Chapter 9 and how First Nations people resisted the government, and some of the landmark cases that have happened.